Add these cooking classes to your Tokyo itinerary for a travel experience to truly savour. Sites of beauty and intrigue abound in Tokyo. Something really worth a visit is the cooking classes there. Not only a source of entertainment during the trip, learning from the professional instructors there also allows you to grasp the key culinary skills in Japanese cooking. So the next time you have Japanese food at home or at a restaurant, you can connect with the dishes at a deeper level. 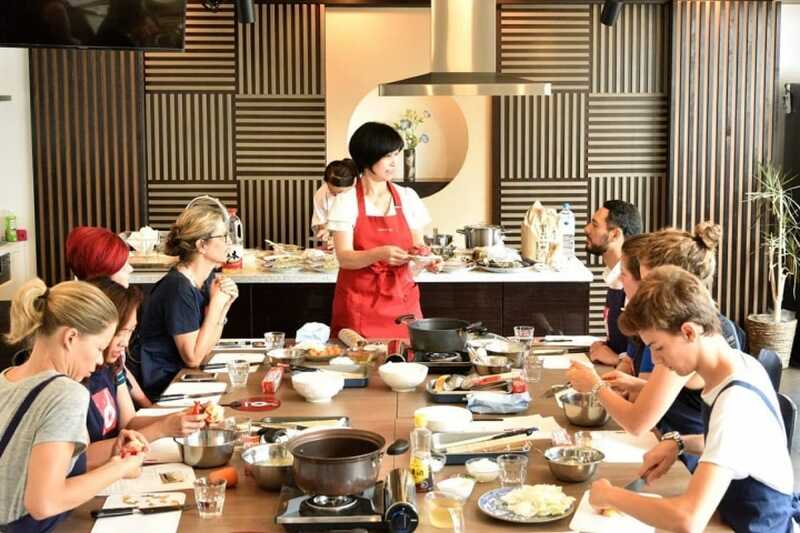 Here are five tourist-friendly cooking classes, all conducted in English. Choose your favourite and bring on the heat. The cooking classes held by famous knife brand KAI demonstrate the most popular Japanese dishes alongside the seasonal ones. The seasonal menu is updated every two months. For instance, its July-August programme included asparagus in sesame sauce, fried tofu in sweet sauce, tomato and avocado donburi, dashi maki tamago (egg roll) and dashi broth with seasonal vegetables. In September and October, it included pickled cucumber and wakami seaweed, agebitashi (deep-fried vegetables soaked in dashi broth), dashi maki tamago, rice with deep-fried tofu and ginger, as well as dashi broth with seasonal vegetables. The classes last for two to two and a half hours, each with a maximum of 24 participants. For groups of six or less, each person is charged 60,000 yen, while it costs 12,000 yen per head for larger groups. Another interesting option is the knife sharpening class for beginners. The two-hour affair is priced at 10,000 yen for single students and 5,000 per person for groups of two to 10. The three-hour class of Tsukiji Cooking starts with grocery shopping at the Tsukiji Outer Market. Though the famous fish auctions have moved to Toyosu, at Tsukiji's Outer Market, it's business as usual. The three-hour class combines a visit to Tsukiji Outer Market and a cooking lesson at the studio. Tourists can choose what dishes to make. The selection includes nigiri sushi, maki rolls, okonomiyaki and robotoyaki, among others. Prices start from 12,000 yen per head. In the first hour, participants are taken to the market to pick up the ingredients. The two-hour cooking session follows, with each group consisting of no more than 10 people to ensure everyone can learn from the instructor up close and personal. All the instructors are Japanese and equipped with rich cooking and teaching experience. Tsukiji Cooking also has classes of other types available, such as chef demonstration classes at Michelin-starred restaurants (two-hour) and sushi-making classes at sushi restaurants (two-hour). 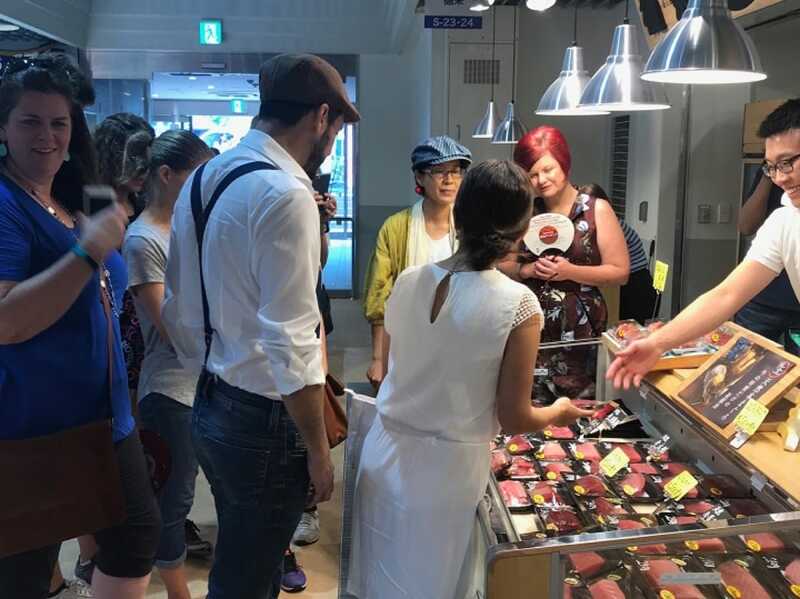 After shopping, participants head back to the studio of Tsukiji Cooking to prepare the ingredients. Seasoned traveller and Japanese housewife Yumi wished to show Japan-loving tourists how to make the most authentic dishes from her country. So she founded her own cooking studio, guiding her students to prepare home-style dishes like miso soup, onigiri (rice ball), maki roll, dashi maki tamago and udon. Priced from 4,500 yen, the classes take place over a period of an hour and half to two and a half hours. Their biggest advantage is the lack of age restriction, which makes them a great idea for family bonding: parents work in the kitchen side by side with their kids, culminating in a delicious family meal. On a side note, Yumi doesn’t hold back on sharing useful tips for preparing Japanese food. Ai Lisa Yokoyama (right), creator of Studio AI Tokyo Cooking Class teaches everyday Japanese cuisine at her own kitchen. Ai Lisa Yokoyama is no stranger to food and hospitality, as her grandmother is a guesthouse owner and her mother a chef. She now runs a cooking class at her home 25 minutes away by train from Shinjuku station. Home-style Japanese cuisine is her forte. Dishes like teriyaki chicken, beef and potato stew, and sweet fried chicken wings are all her specialities. Each class consists of a main course and two side dishes. The menu can be discussed beforehand with Yokoyama. She doesn’t have a fixed teaching timetable, preferring those interested contact her through Facebook. Yokoyama accepts groups of two or more, each person above six years of age. The cost of the class is 7,000 yen. If the accommodation allows, she can teach at where the participants stay and offers dish recommendations based on the equipment of the kitchen. ABC Cooking Studio is one of the biggest cooking schools in Japan, with branches in Hong Kong, Taiwan and Singapore. Novices be assured: the studio makes an effort to keep the recipes easy to follow. The classes run between an hour and a half and two hours, costing 5,000 yen. The menu changes regularly and can be viewed online. There are about 10 options, ranging from tempura to maki rolls, and wagashi to Western pastries. This article was written by Xiao Shan and translated by Vincent Leung. Click here to read the original version of this story.